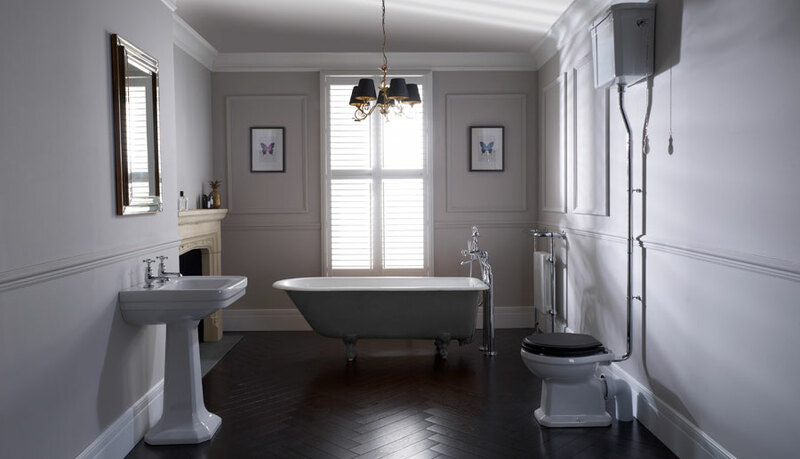 Traditional and contemporary are two of the most popular styles of bathroom suites on the market. Traditional bathrooms look back to the past, reminiscent of the Victorian era while modern bathrooms combine sharp lines and soft curves to create a minimal, sleek, and contemporary look. Both styles are equally beautiful in their own way and can make your bathroom look inviting and attractive. A combination of both styles can also look really stylish if done well, but we tend to recommend that you pick one style and stick to it - especially if it’s a small bathroom. 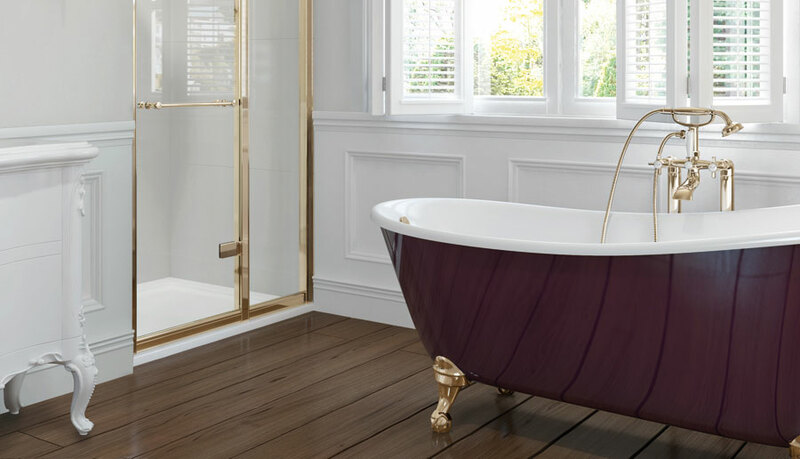 From beautiful roll-top baths to extravagant drawer units and cabinets, there are so many bathroom fixtures and furniture that can help to cast thoughts back to former times. A shabby chic look can be achieved with traditional bathroom furniture, and rustic-looking cabinets, while a cleaner finish can be achieved with basic, but high quality units. Tiling can be used to great effect to create authentic looking traditional bathrooms. Monochrome colours tend to work best – whites, blacks, greys and mauve hues are ideal. Freestanding cabinets are best for designing a traditional bathroom suite in subtle colours that can be livened by having a statement wall colour or accessories – the contrast between the two will be very striking and effective as below. 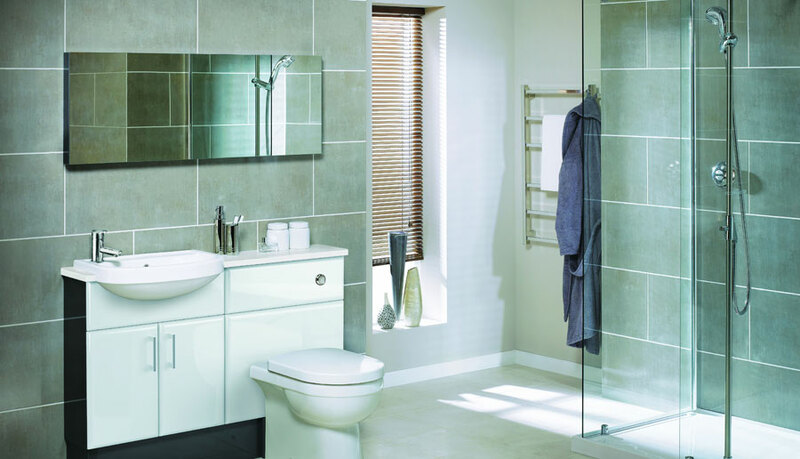 At Solutions we have a range of traditional bathrooms to get the look you desire. With ranges from many brands, Solutions provides the perfect place to start your vision. We are proud to offer our luxury range of beautiful bathrooms to suit all styles and budgets. If traditional isn’t for you, a sleek and modern looking bathroom may be preferable to the traditional look. Square basins to wet rooms and sleek bathroom fixtures can create a luxurious room which can be perfect in a bathroom. Modern units are usually quite angular, creating lines that flow around the room. Shelving and wall-mounted box-style units suit the modern look, as well as square taps, basins and showers. Contemporary bathrooms tend to stick to the rule that less is more, with a very minimalistic finish. If the contemporary look is for you, then we can offer the latest in bathroom modern design. 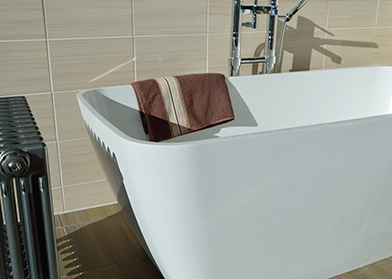 From our stylish slim rimmed baths to off the floor sanitary-ware, we can supply it all. 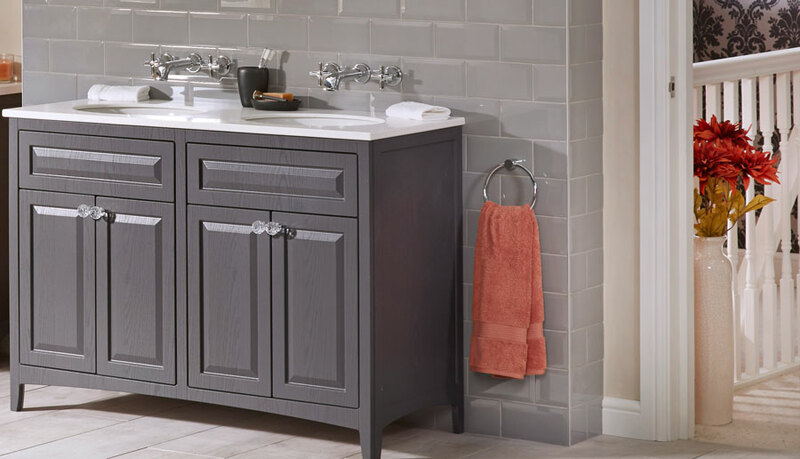 Complemented with sleek designer furniture for that additional storage every bathroom needs, you really can’t go wrong with one of our collections.